In my version of a perfect world, a person’s value would have nothing to do with their job title. Whether gainfully employed or not, your inherent worth would shine through and be appreciated by everyone. But sometimes the world comes up short. If you find yourself deflated from feeling less valuable than the people around you, it’s time to tackle shame while out of work. And then, being ready to do this again and again. Shame drains energy and confidence. It undermines connection with others at precisely the moment when you’ll need it to secure a job. Recognize the feeling of shame when it comes up. Notice where it sits in your body, and what it does to your sense of self worth. Take a deep breath. And another one. And another one. (Literally. 3 deep breaths.) And then consider that you now have the opportunity to acknowledge the feeling, and create a space between you and it. 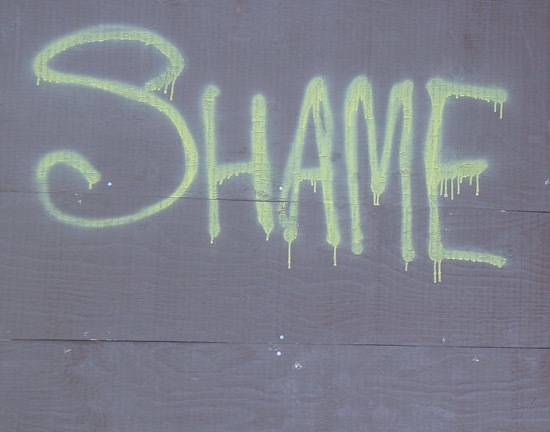 Understand the difference between vulnerability and shame. It’s okay to be vulnerable and need help. Vulnerability facilitates connection. Shame makes us want to withdraw because we don’t feel like we’re enough. 3 deep breaths. Create space between you and the feeling of shame. Appreciate that you’re vulnerable. It’s human. Repeat, as needed. A client of mine recently landed a great job after a long search and a roller coaster of ups and downs. What led to this job was an impulse to do good. Months before he got hired, during a historically massive flood in his state, he decided to volunteer for the Red Cross. At first, he did manual labor, whatever it took to help the survivors. And then, he segued into training volunteers and caught the eye of a supervisor. They stayed in touch once the disaster passed, and when a paid position opened up for the Executive Director of the Red Cross in his region, he got the call. When you’re out of work, securing a paying job is the most direct benefit from volunteering. But there’s another advantage if you’re experiencing shame. You’ll have a chance to step into something larger than your own personal struggles. Contributing your talent and expertise to an organization and people that need you, can help restore your sense of value. I know from my own experience that if left unattended, shame while out of work can infect other parts of your life and make everything feel bad. There’s one clear antidote and it’s well within your grasp. Remind yourself of the good stuff. Not in a vague, abstract way. Use metrics and be very specific. Every day, come up with 5 things that were positive about the prior 24 hours. It can range from the mundane – like not getting a parking ticket even though you returned to the meter 10 minutes late, to the more consequential of sailing through your annual physical with flying colors. I say, “practice”, because if you’re like me, gratitude doesn’t come naturally. You might have to work at it. Make a commitment and use this framework to get started. Let it become an essential part of your day.